The Barn at Heritage Farm is a family owned farm business. The farm has been in the family for 6 generations ranging in use of tobacco, cattle, corn, soybeans and now honey, and social events. The barn is a dream come true for my father to house his farm equipment, crops and create a farm-based retail market for homegrown goods. We love coming up the drive and seeing the beautiful view of Pilot Mountain, so we wanted to share that with others. 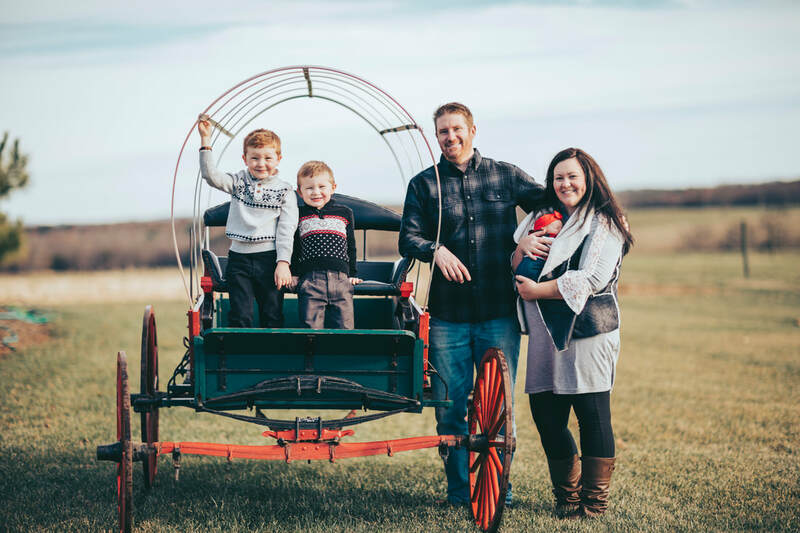 John and Jessica Jonczak knew from the very beginning that they wanted to create something great - something that would create a fun atmosphere for everyone. John has had years of experience working within a community and organizing town events. In 2011, when John met Jessica, a teacher who also loves giving back to the community and organizing events, it was a match made in Heaven... they just didn't know exactly how in a few years they would each be using their talents. Jessica spent the first 2 decades of her life in Dobson - attending local tractor pulls, working in her family's chicken houses, bottle feeding baby calves, picking and canning green beans with her grandmother and great grandmother, learning to drive tractors and just being a kid in the country. Recently she inherited 20 acres that was once her great grandfather's tobacco field. 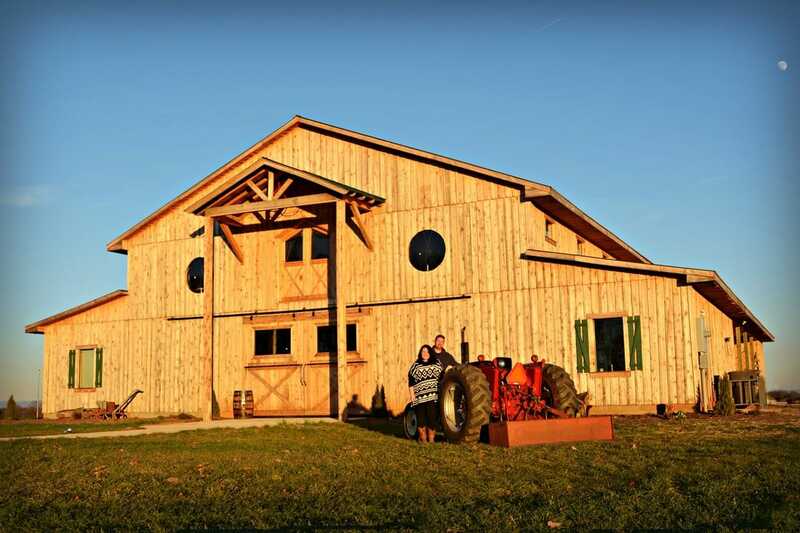 The idea that the community needed something that would bring the town together, while still keeping true to the country lifestyle of Dobson, Jessica and John decided to take a chance, quit their jobs and build a dream....in the shape of a farm. Goodbye corporate world and hello to a quiet farm life! 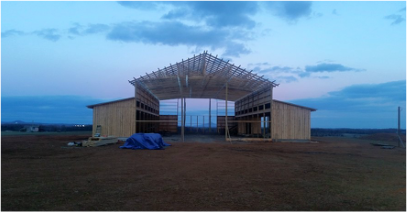 This barn, located and used on the family owned farm, can be used by the community to hold fundraisers, social and school events, and can create more community involvement like an Easter Egg hunt, a pumpkin patch, breakfast with Santa...just to name a few. Local pre-schools will also be invited to come out and learn about planting, agriculture and the upkeep of a poultry house. Blackberry and blueberry bushes were planted so that more people could take part in picking their own local produce and "experience farm life" on a Saturday while they enjoy spending time with friends and family - berries will also be stored in the barn and available for purchase during the picking season. Local produce such as honey and pumpkins will be available to purchase from the farm as well. We're excited about bringing a pumpkin patch to the area! And Jessica's dream of getting back into "the chicken business" will come true once the hot weather is over and the chicken coop is put up on the farm! Fresh eggs will then also be stored inside the barn and available for purchase. 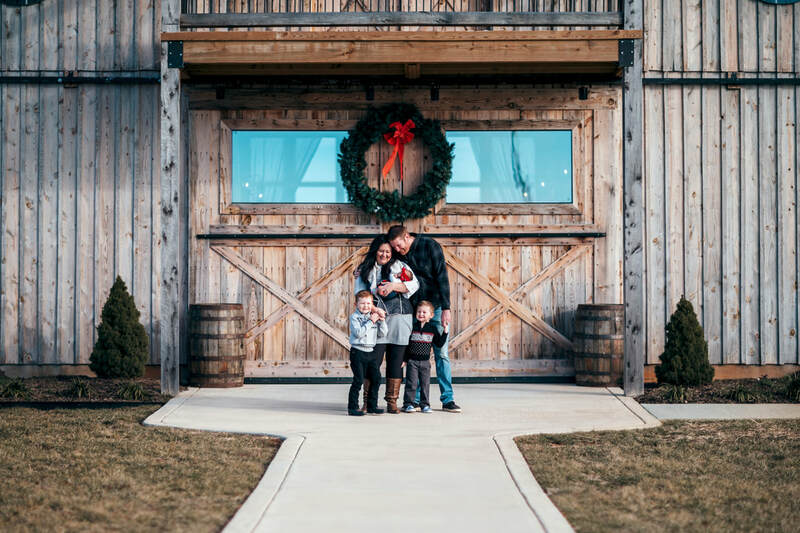 The Barn at Heritage Farm is more than just a barn - it's a connection between family, friends and community - a connection brought together by the love and desire to see agriculture appreciated and shared as it should be. Construction began on the barn back in September of 2015. The building process started off slowly as wet weather became a major issue. However, things really picked up by the early spring of 2016.